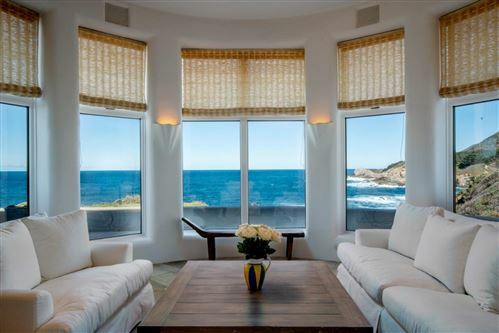 sweeping ocean vistas and panoramic views of the South Coast. For years, artists have been captivated and inspired by the Highlands and the stunning Big Sur coastline, the sandy beaches and rocky, cypress-studded terrain. Many have come, attempting to capture its unspoiled, natural beauty, with some of the most notable examples of architecture in our area. An old, classic filling station marks the center of the Highlands, directly along Highway 1, in addition to a smaller art gallery and two luxury hotels with breathtaking views: The “Tickle Pink Inn” and the “Highlands Inn”, home to the famed Pacific’s Edge fine dining restaurant. The natural terrain affords the Highlands with a variety of different styles of living. On the mountain side of Highway 1, where redwoods punctuate the hillside, properties offer elevated bird’s eye views. Along the coast are Spindrift and Yankee Point, which offer sprawling homes directly on the rocks at the whitewater. These areas feature big, wide streets with a neighborhood feel, and rival some of the best real estate in the world.